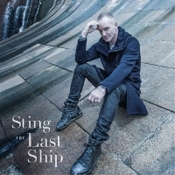 While to many Sting may come across as the surreal expressionist of pop culture that the icon turned out to be over his musical career, his latest offering of original work in almost a decade, The Last Ship, deviates into darker waters of folksy reminiscence. It is almost an open secret that Sting suffered a massive writer's block after the death of his parents, which he struggled to overcome with The Soul Cages in 1990. In the nostalgic 12-track musical serenade that The Last Ship is, Sting digs deeper into his soul in a quest to overcome his song drought and goes to places he would have preferred not to revisit: a confusing childhood, the surreal industrial landscape of the shipyard town he was born and raised in, survivor's guilt, resentment, dormant anger and a paradoxical nostalgia for what was past, albeit painful, but nonetheless compelling. What started as an expedition for Sting to put to rest the ghosts that still haunt him turned into his creative redemption as it led him to the narration of an original musical play based on this journey. Scheduled to be released this year, the musical is constructed on the soundtrack of The Last Ship and narrates the destruction of the shipping industry in Newcastle, the English port city where he grew up, while being a meditation on homecoming, community and fatherhood. The 12-track ensemble begins with 'The Last Ship' and Sting's ethereal vocals cohesively blending with the soaring accordion and pipes kick off the evocative album. Since the record is a mirror into Sting's past, there is more of Gordon Matthew Thomas Sumner than the stage name he adopted. Even as the ''Magdalene girl'' calls out to the ''resurrected Jesus'' on His way to ''catch the last ship sailing'', Sting opens curtains to his world. Intent on sculpting every melodic progression and line with his cannily crafted lyrics, the songwriter transports the listener to his childhood days at home in 'Dead Man's Boots' – the story of a boy filling into his old man's shoes. 'And Yet', 'Practical Arrangement' and 'What Have We Got' are meandering ballads of his town as Sting rows his boat into a warm current of emotion. The sonic torrent in 'What Have We Got' emphasises Sting's allegory of the ship of his dreams as he sings ''We've got nowt else''. The middle section of the album – 'August Winds', 'Language of Birds' and 'The Night The Pugilist Learned How To Dance' – are rhythmic nuances of strong folk dance where Sting adopts a Scottish/Irish brogue leading his listeners to a whirlpool of fond memories. Bright and ragingly powerful, Stink lifts the symphonies with a waltz swing that grooves and moves to the rocking of the boat as he explains ''how the pugilist finally learnt to dance''. 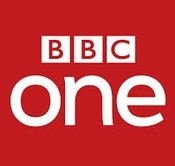 However, he returns to his elegiac undertow with 'I Love Her But She Loves Someone Else' and 'So To Speak' before concluding with 'The Last Ship (Reprise)' which he ends with a roaring stream of passion as he echoes “when the last ship sails”. Though the folk of the British Isles ring through in the countryside album, the former Police frontrunner brings a global orchestral prominence to the collection – his tightest testament of songs in ages, which all play off each other blending into one brilliant narrative for a story where he reveals more of himself than he knows. Sting engages his listeners in his most intimate offering from his repertoire of songs with The Last Ship and you can choose to either drop anchor and stay grounded or set sail with him in this rapturous vessel.